2016 VAHS grad Ben Rortvedt was invited to the Minnesota Twins Major League Spring Training camp. 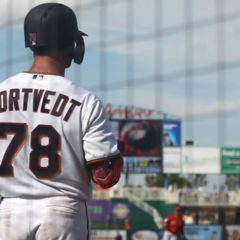 Rortvedt was a 2nd round draft pick by the Twins in 2016, #56 overall. The 2018 WIAA playoff brackets are set with the Verona earning the #3 seed in Sectional #5. This placement nets them a first-round bye for next Tuesday’s Regional matchups. 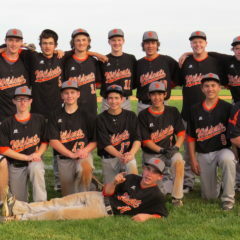 The ‘Cats will host the winner of Beloit Memorial (#11) vs. Oregon (#6) at Stampfl on Thursday, May 31. The game is slated to start at 5 pm. Block it out on your calendar so we can have a great home crowd to cheer them on toward Sectionals! 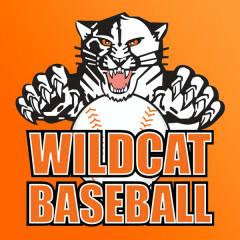 There are several ways to follow Wildcat teams throughout the season. Check here for important preseason dates and details for the 2018 season. Tristan Largent (2018) has committed to play for the Concordia University Falcons (Mequon, WI) after his final Wildcat season this spring. Largent combines a solid first base for the ‘Cats with left-handed power hitting and pitching. 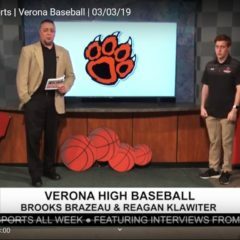 2018 Verona Area High School Grad Stephen Lund signed his National Letter of Intent to further his education and baseball career at Gonzaga University. Stephen was a 2nd Team All Big 8 Infielder in 2015, and a 1st Team All Big 8 Infielder in 2016. Stephen missed the 2017 season with Tommy John surgery, but is on track to play in 2018. Congrats to Reagan Klawiter (2019) on committing to the Illinois State Redbirds. 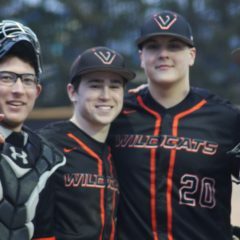 Klawiter has been a key left-handed pitcher for the Varsity Wildcats since his freshman year.